SUBHEAD: High speed train connections accompany elimination of slightly slower, but much more affordable, alternatives. 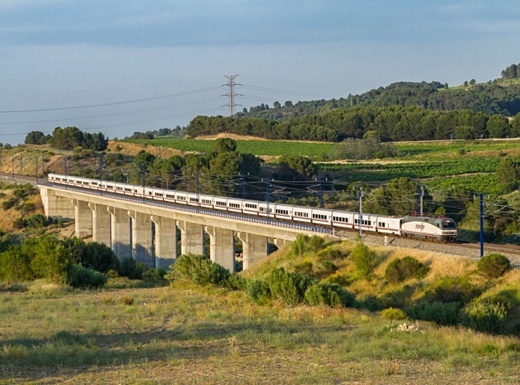 Image above: This now retired train, the Trenhotel Joan Miró, went between Barcelona and Paris from 1991 to 2013. It was cheaper and faster than the current high speed train. Photo by Sergio Evangelio. From original article. Five years ago I promised my readers I would not fly anymore. Hopping on a plane would be a hypocritical thing to do when you run a publication called Low-tech Magazine. Since then, I have been travelling across Europe almost exlusively by train (apart from the occasional boat trip), good for some 70,000 km of long-distance travel. I went as far north as Helsinki, as far south as Málaga, and as far east as Budapest. Europe has the most amazing railway network in the world. It gets you anywhere, anytime, and it's much more fun and interesting to travel by train than by air. Not so! To find out much more and see many photos of trains as well as a detailed history of faltering rail service in Europe read original article in Low-Tech Magazine.